Running on Pixie Dust: The times they are a changin'. . . The times they are a changin'. . .
Blogging is one of those outlets that constantly pushes the author to stretch beyond his or her comfort zone. I've loved every minute of my blogging journey so far and am excited about a "re-launch" of this little endeavor. 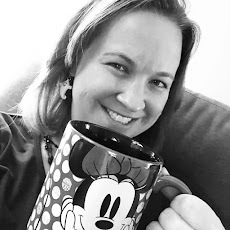 I'm still A Disney Loving Mom, but my adventures reach far beyond that and you'll find a broader range of topics on my revamped blog. You know the commercials for Dunkin' Donuts? They say "America runs on Dunkin'"? Well, I run on pixie dust. . in many different ways. My love of Disney has inspired me to be the best version of myself, as a runner, a mother, an educator, and a friend. I hope to spread some of that pixie dusted magic to the lives of others through sharing my own experiences running along the road of life. I hope you enjoy the new blog and I look forward to hearing comments and feedback from each of you along the way!